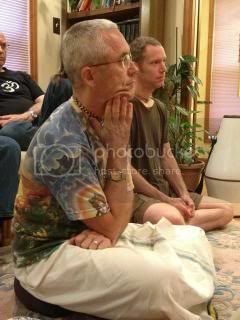 Every year the Vaishnava group my wife and I are part of, The Grihastha (Family) Vision Team, has a Couple's Retreat at the Gita Nagari Bhakti-Yoga Farm in Port Royal, PA. In honor of this event coming up the weekend of September 14th-16th (See flyer) 2018, I thought I would repost this blog about having a balanced and successful family life: This is a follow up to my last blog which spoke about how we can become overwhelmed by, or over-attached to, family responsibilities, and be distracted us from spiritual practice. For the purposes of this blog, “over-attachment” is the key word, although in modern culture this term is practically unheard of—while at the same time “under—attachment,” or neglect of the family is also not recommended. I am speaking about a balanced approach to family life informed by keeping our spiritual goal always in mind, applying the maxim, “always remember Krishna, never forget Him.” In the first chapter of the Bhagavad Gita, Arjuna teaches us how undue family attachment can cause our reluctance to serve Krishna—in this case to engage in his duty of fighting— because of his identifying his family as himself (my and ours) rather than seeing his family in relationship to his primary relationship with Krishna, or God. Vedic culture is big on detachment and renunciation, but this has to understood properly and maturely through the eyes of devotion. 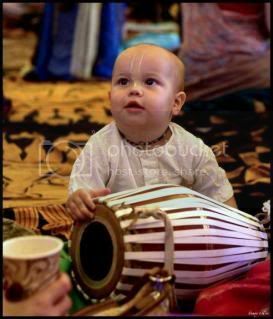 In the early days of the Krishna movement, it was primarily composed of young single devotees with few married ones, and was strongly influenced by a culture that frowned on married life and all that went with it. Thus families and children suffered due to our immaturity and lack of mature elder guidance. Many individuals went into marriage feeling fallen into the “deep, dark well” of family life, being afraid to be kind and affectionate—so they wouldn’t get too attached—and were practically dooming themselves for failure. A more positive view of marriage and family has gradually evolved, though much work remains to be done to prepare the current generation of "grihasthas", or spiritually minded married couples. In any case, fast forward to today. Some who came to Krishna in their late teens and twenties and are now married and surrounded with family, may feel entangled with their worldly responsibilities, since they currently don’t take the same time for their spiritual practices that they once did. Thus, my speaking of “my-ness” or “own-menship” in my last blog may have made them feel discouraged. To them, or anyone who is married or living with a family, I would like to suggest a modern saying to think about, namely “The way out is through,” which has application to the topic of family life, attachment, and detachment. In other words, we can learn by direct experience how our endeavor for material desires and happiness doesn’t really deliver the supposed material benefits, or how family, although satisfying a natural need, can distract us from our spiritual goal if we don’t keep up our bhakti practices. Thus, through going through marriage and family life while keeping our spiritual focus, our realizations can awaken within us the resolve to dedicate (or rededicate) our lives to the ideals of bhakti. Married life is an acknowledgement of our material desires and attachments, and is considered the second stage of life—the first in Vedic culture is living as a celibate student under the guidance of a guru. Although we may not have lived in an ashram to learn the basics of spiritual life, (or only did for a short time) we can still be Krishna conscious (a term meaning being absorbed in remembering, serving, and loving Krishna, which is the purpose of bhakti yoga), in spite of seeming to be “entangled” with family duties and the material needs of others. I would like to suggest that “entanglement” is largely a state of mind, since spiritual awareness is a matter of consciousness, and not merely our external environment. 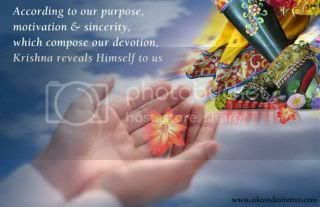 The question of life for all devotees of Krishna, is “How can my current life be more favorable for bhakti, or my spiritual practices, and how can I feel always dependent on Krishna’s mercy (sharanagati, surrendered)? Although we can at times be overwhelmed with taking care of children or relatives, to rise above this, we require regrouping by endeavoring to see our situation and family in relationship to Krishna. With sincere, intense prayer, and the willingness to make changes in our lives, this is possible. Another applicable expression is that “The Lord helps those who help themselves.” Helping ourselves means being willing to reexamine our lives and being “possibility thinkers.” We have to guard against giving in to “defeat and hopelessness” that only absorb us in an unresouceful state unfavorable for making the best use of whatever situation we are in. In general Prabhupada considered material existence a “bad bargain” for the eternal soul due to its restrictive and foreign nature, yet with Krishna consciousness, all situations, including family or married life, can be favorable for bhakti. 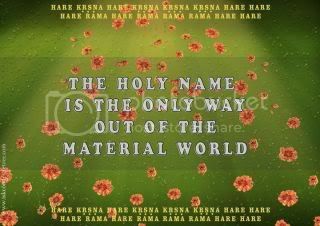 We keep above the riptide of the material world’s current by being aware of (hearing or reading) the truths of the Bhagavad Gita, Shrimad Bhagavatam, and Chaitanya Charitamrita, etc, and regularly chanting the holy name. This helps us to live our lives as sadhaka (spiritual practitioner of bhakti) and an observant student in the world’s classroom. By seeing life through these scriptures we can realize the truths that increase our faith, taste, and realization in the supreme perfection of serving Krishna in love. This requires making time to hear from saintly devotees who live their lives on the basis of such scriptures, and inspire us to read such books of wisdom ourselves while applying their teachings. In family life or renounced life, the same ideals apply, and we have to come to a point of taking full shelter of the Lord, replacing our exploitive tendency (I am the center) with the serving ego (I am a servant of Krishna), and endeavoring to do everything out of our love and affection for Krishna. 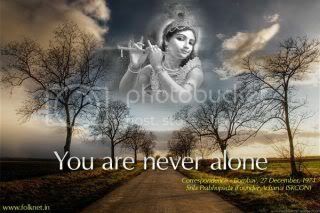 Beginning from wherever we are in devotional feeling, we keep our ideal in mind, praying to advance. To become renounced from material enjoyment in bhakti naturally occurs by our loving attachment to Krishna, His service, and His devotees. Before one takes up the path of devotion, the world is a place of misery, but after engaging in loving devotional service, the world is transformed into an abode of joy, where everything is favorable for serving Krishna.